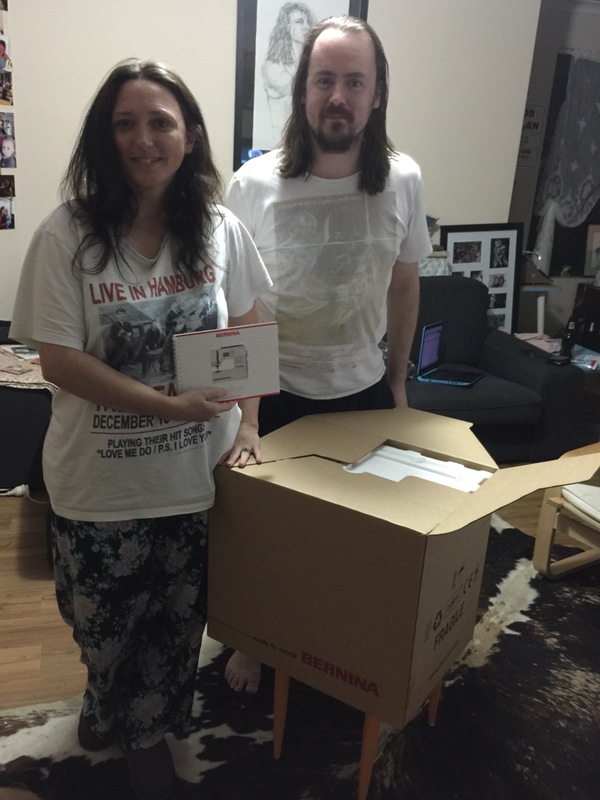 Sarah and Matthew were delighted to receive their raffle prize winnings of the Bernina sewing machine! Their 7 year old son is looking forward to some lessons . Sarah’s Mum was the ticket purchaser at Quiltwest . She herself is an avid quilter . It was wonderful to be the deliverer of such a lovely prize .